One of the most interesting periods of history that very few people on either side of the Prut River remember today is that there was a Soviet Moldovan Republic long before Romania ceded Bessarabia without a fight in 1940. It took several years after the 1917 “October” Revolution in Russia before the Soviet Union was able to exist as a coherent polity. Some of the most hard-fought battles occurred in what is today Ukraine, including a little slice of land near the Dniester River. But on October 12, 1924, the Moldovan Autonomous Soviet Socialist Republic or MASSR was born. If you’re a bit rusty on your Communist administrative terms, an SSR (Soviet Socialist Republic) was a kind of “country” inside the Soviet Union and an ASSR was a kind of “state” within an SSR. Looking at the map, you can easily see that the MASSR is composed of what today is Transnistria plus some extra bits that are now the Odessa Oblast (“county”) in Ukraine, particularly around Ananyev. The thought amongst Soviet leaders (before Nikita Khruschev took over as top boss of Ukraine in 1937) at the time was that the ASSRs were designed to give each ethnicity a bit of autonomy inside the greater Soviet Union. Thus, the boundaries of the MASSR corresponded to areas that had a Moldovan majority. And, although nobody wants to admit it now, much of the administration and leadership inside the MASSR was ethnic Moldovan/Romanian. Remember, during the same period that the MASSR was created, Romania was on the path towards fascism, and a young Nicolae Ceausescu was enthralled with the daring exploits of Communist activists. 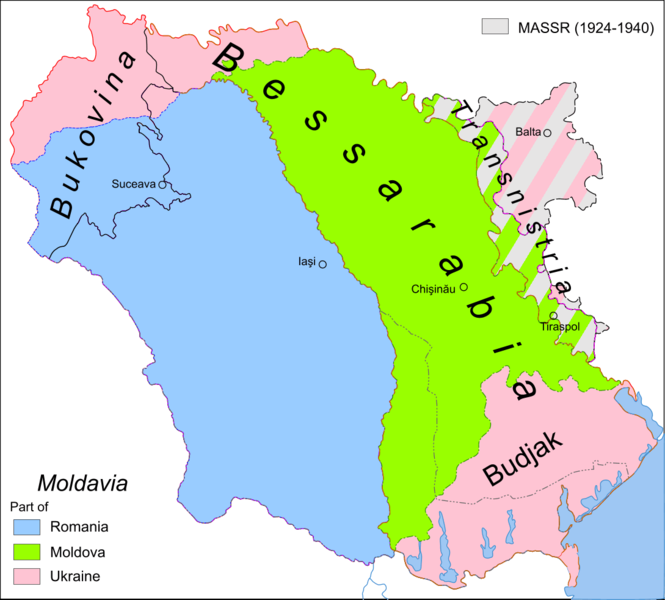 As we know, in 1940, the Soviet Union demanded and was given Bessarabia by Romania, and the MASSR was merged with the newly-created Moldovan SSR. Nikita Kruschev, a native Ukrainian and fierce nationalist, then re-organized the Ukrainian SSR, removing Ananyev and Cernauti from the Moldovan SSR as well as adding Crimea, all decisions that had huge ramifications later on. 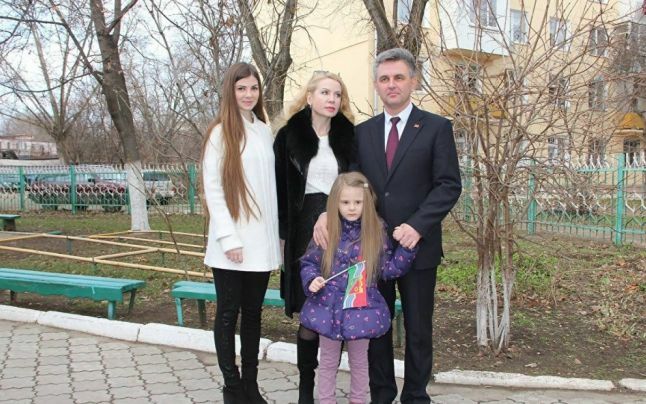 Fast forward to modern days, and you now have a better idea of why there was such a deep division between the parts of the Moldovan SSR that joined the Soviet Union in 1924 (“Transnistria”) and the parts that joined in 1940 (today’s Republic of Moldova). There was an entire extra generation in MASSR which had lived under Soviet rule, and that made a rather significant difference when it came time to decide who was declaring independence from whom.